Located in the heart of Leeds, just a 5-minute stroll from the train station and close to major road networks, our professional, purpose-built audio studios are in the ideal location and fully equipped ready for your next project. 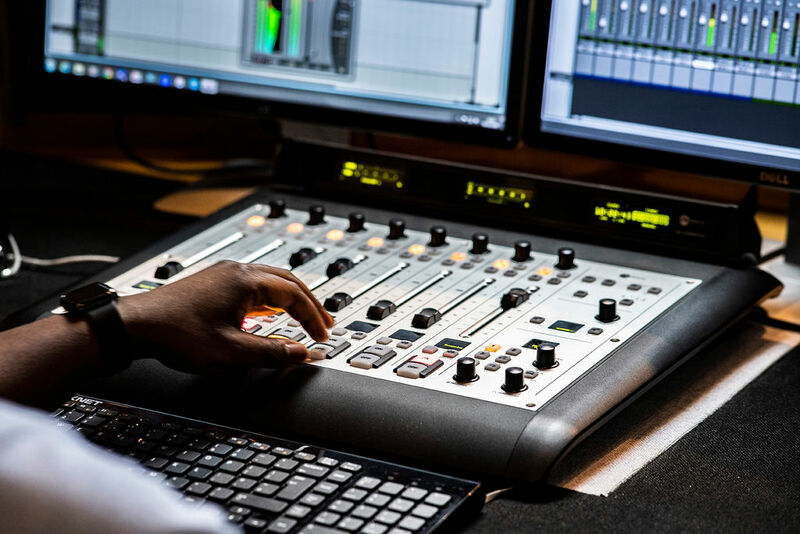 Whatever you need to record – whether it be an advertisement, training audio or interview, or if you need to link up with commercial stations on a radio day – our purpose-built studios are available for you to hire for your next audio project. From acoustic sessions to dramas, podcasts to show reels, we’ve recorded a variety of audio for an array of purposes. Not sure what you want? Don’t worry. Our creative consultants and sound engineers will work with you to develop concepts for your audio to achieve your aims. We have a variety of different sized studio booths available dependent on the type of job and your requirements. Want a competitive quote for studio hire? 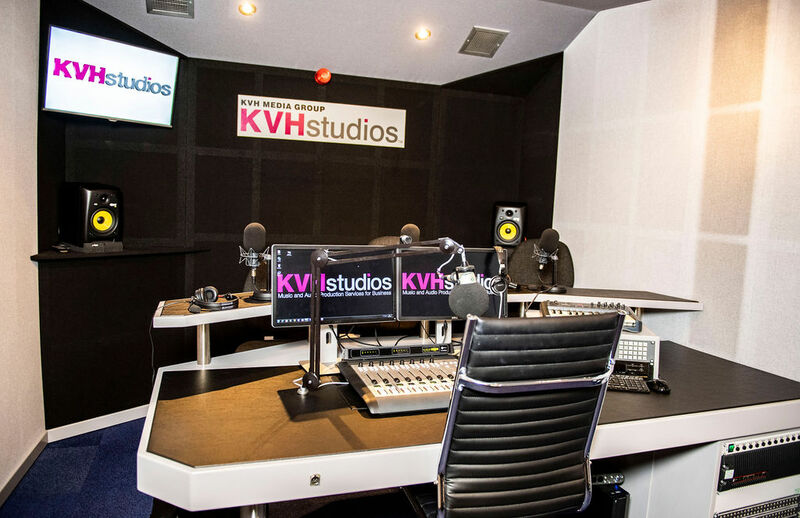 Once in our studios, you will have access to thousands of remote voiceover artists, radio stations or other audio facilities worldwide. Whether there’s just one of you or a group, you want to broadcast live or pre-record, our team of audio producers, sound engineers and creative managers will ensure your project is delivered on-time, on-budget and beyond expectations. You can feel at home whilst completing your project with our friendly team and hospitality, including access to meeting rooms and breakout areas with disabled access, toilets and free Wi-Fi. Plus, we’ll make the experience an easy and comfortable one by organising transport and refreshments, should you need it. Live via ISDN or pre-recorded for future broadcast. 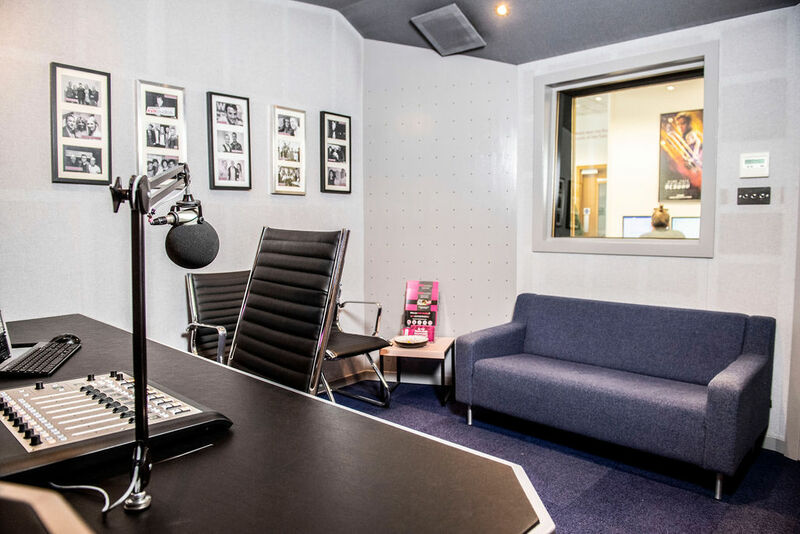 If your interviewee is in Yorkshire, or you need somewhere on short notice, our Leeds studios have the ideal set up for multiple guest recordings. Want to record a podcast with broadcast quality mics in sound-proof studios, edited and produced to professional standards? Our producers are experts in directing podcast content for brands. Our radio day service is ideal as either a stand-alone PR technique, or as part of a fully-integrated national PR strategy. We’re experts in working with PR teams to maximise the impact of a campaign. As a voiceover artist or a freelance broadcaster, an expertly produced show reel is essential for demonstrating your talent, range and versatility. Let us help you create the best show reel possible. Recording an “unplugged” as-live promo session can be a unique way to gain traction with radio broadcasters, or to reach an audience on social media. Our studios and production staff are available to create your ideal sound. For documentaries, dramas or commentaries, it is essential to record and produce high quality, broadcast sound. Our sound engineers have years of experience working with the likes of the BBC and Sky to provide the facilities for multiple voice recordings with expert post-production.